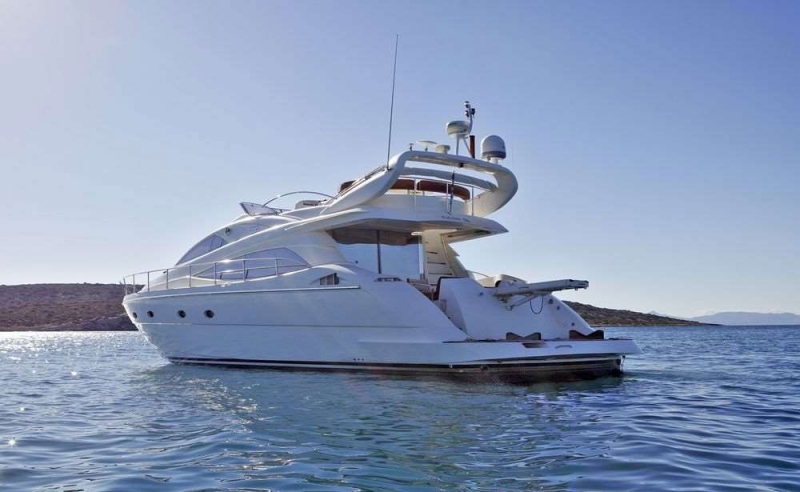 Motor Yacht NELLMARE is a luxury yacht built in 2005, refitted in 2014 and is available for charter in the Greek Islands. 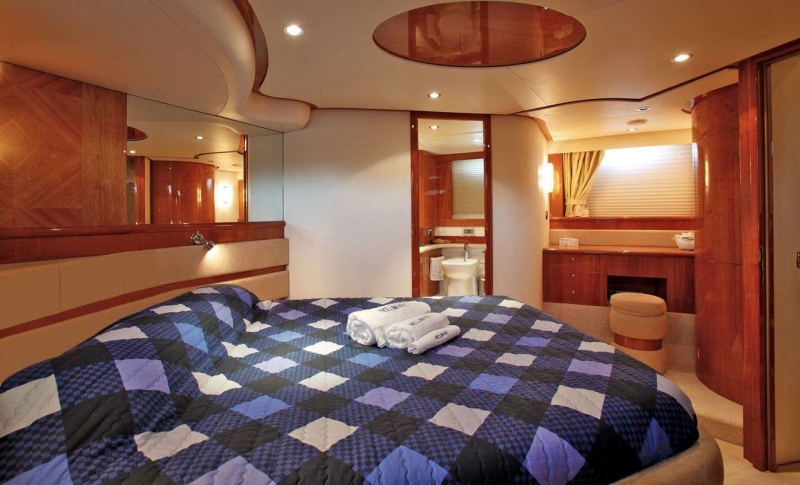 She measures 17,40m (57.08ft) in length with a beam of 4.8m and is able to accommodate up to 6 guests in 3 lovely cabins and up to 8 guests for cruising. 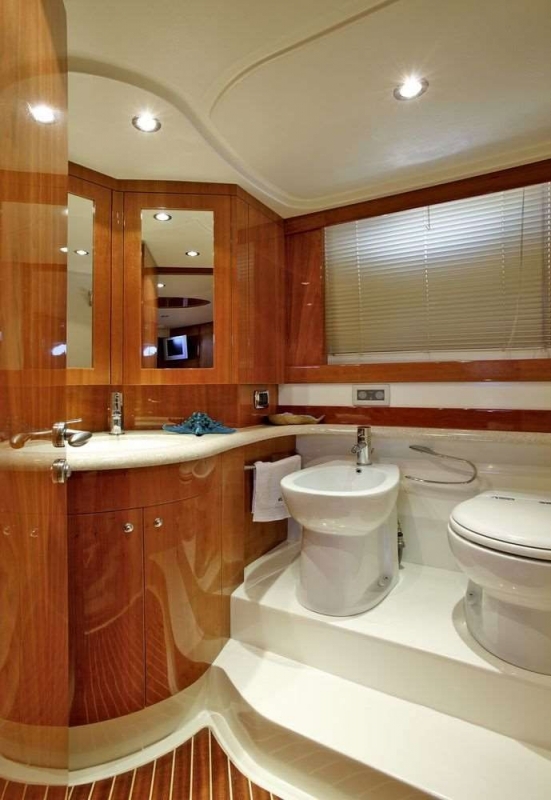 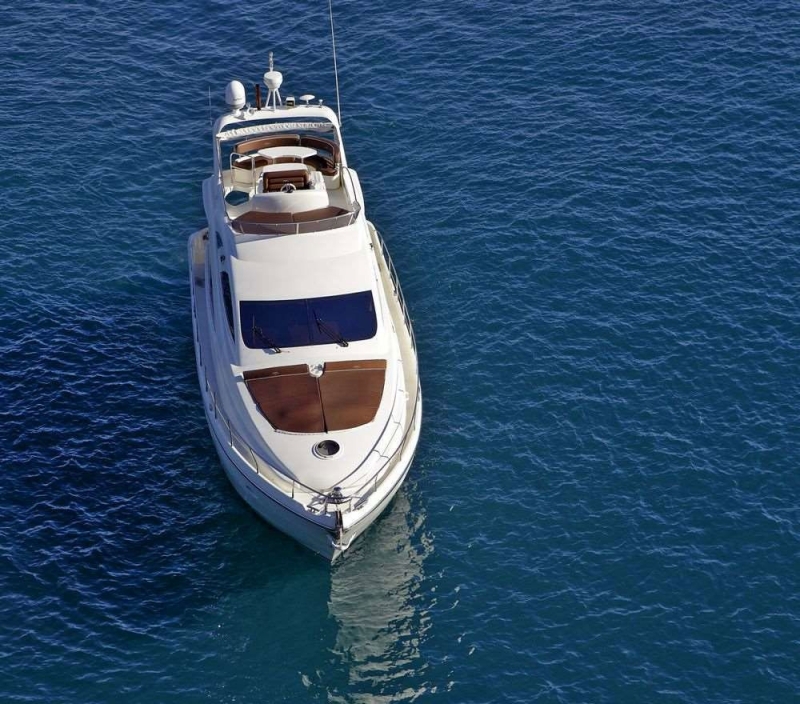 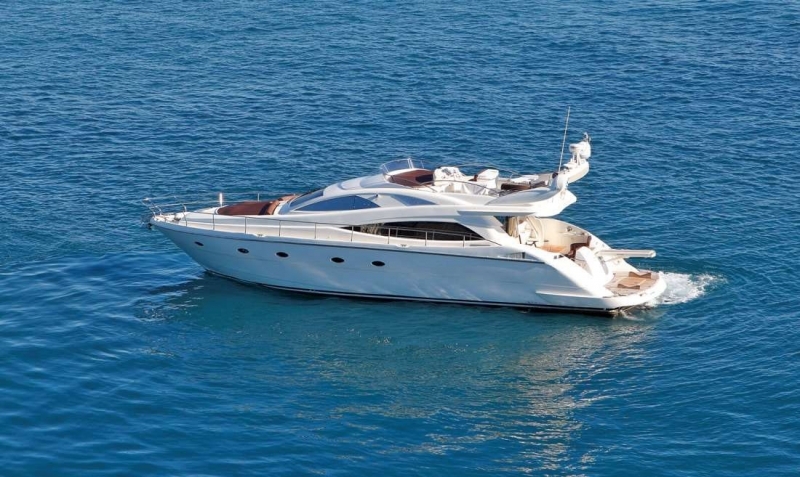 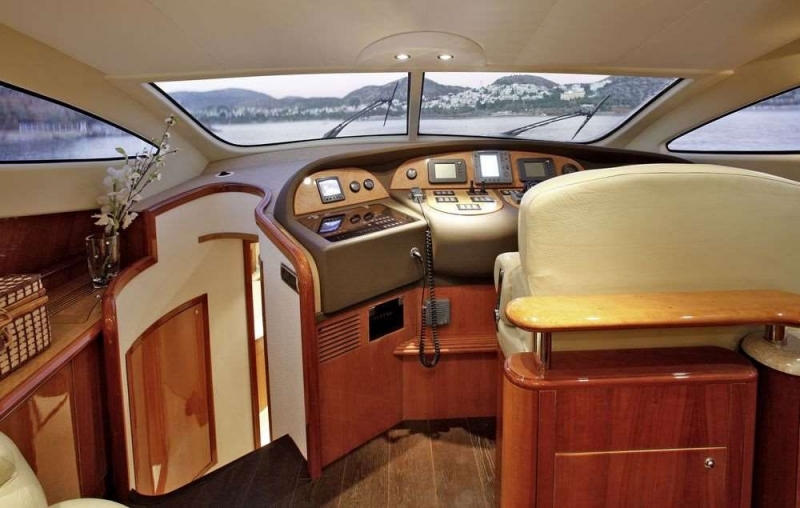 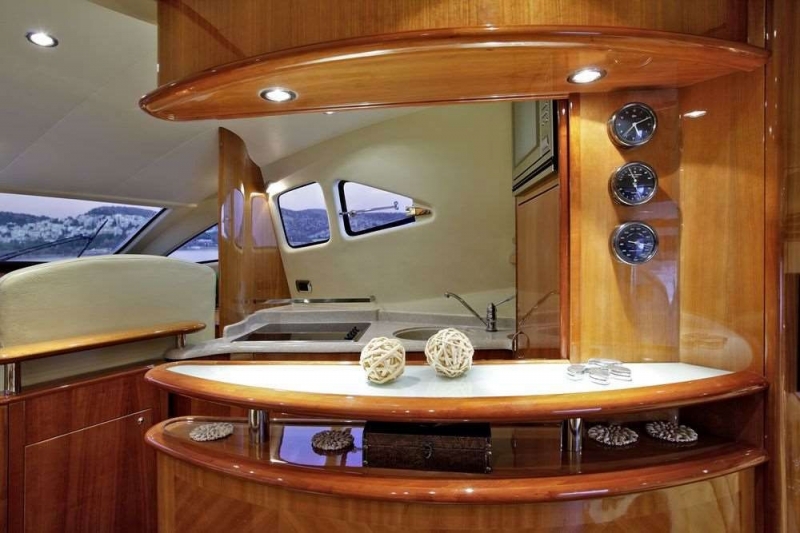 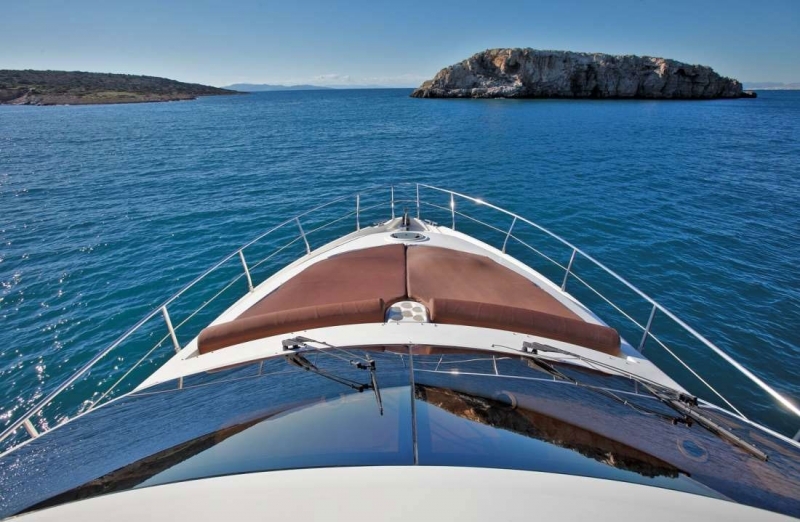 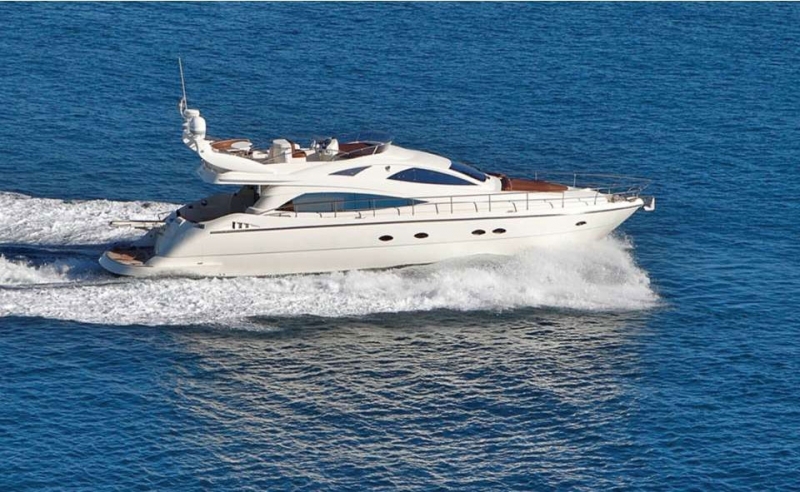 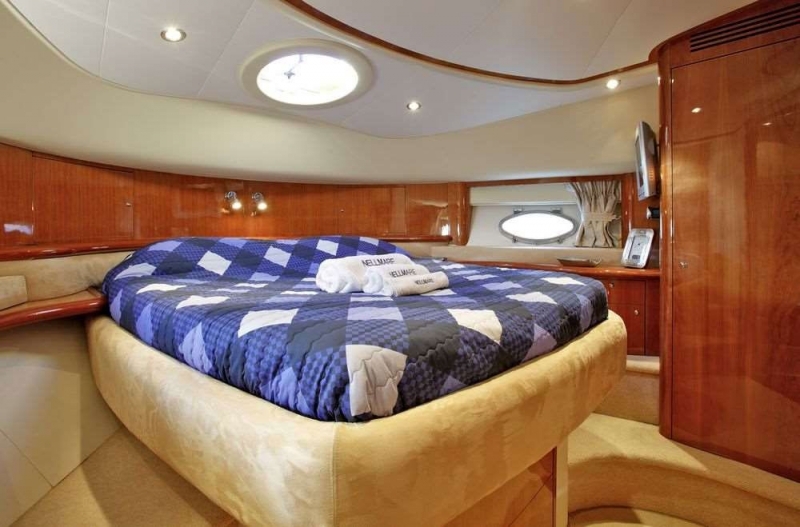 The yacht features state of the art and modern touches and is well equipped for a perfect charter. 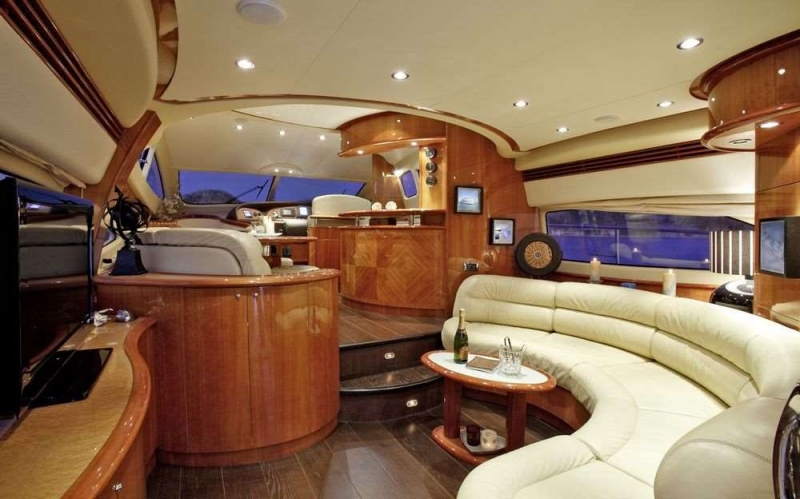 MY JOY offers two decks with areas throughout the vessel to entertain, dine and relax while her professional crew make sure you will receive the highest level of service. 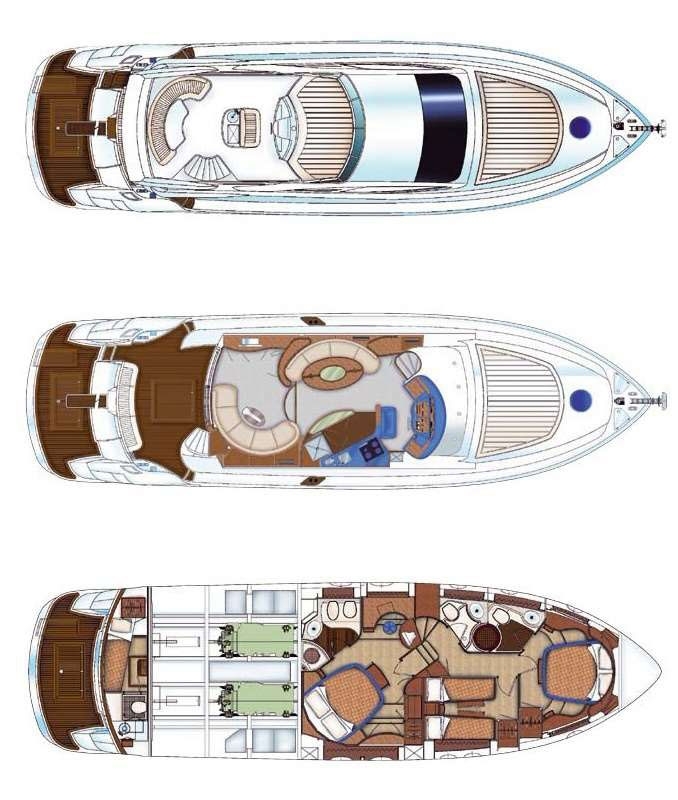 She is beautifully sleek and has real style inside and out, and for anyone into speed she cruises comfortably at 22 knots and can reach a maximum speed of an incredible 31 knots. 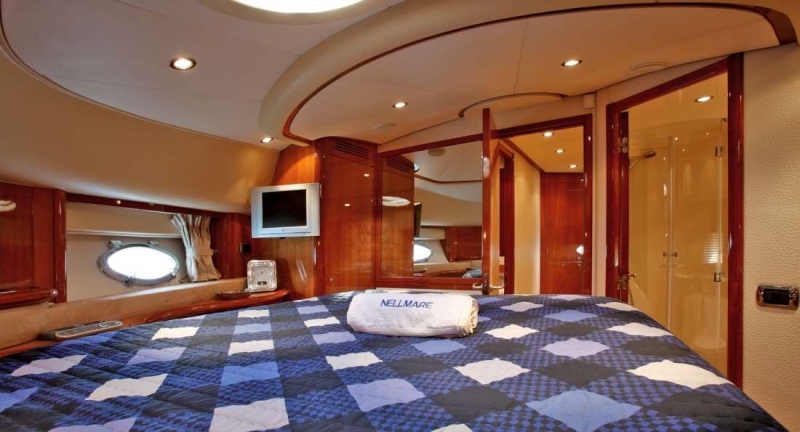 MY NELLMARE is lovingly set up and every detail is kept at a very high standard of taste, warmth and elegance. 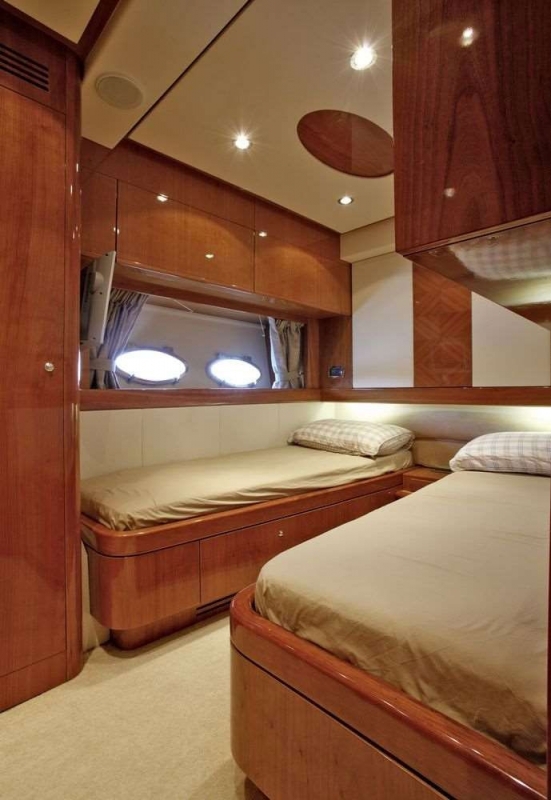 She has a beautiful interior with quality fabrics and finishes throughout. 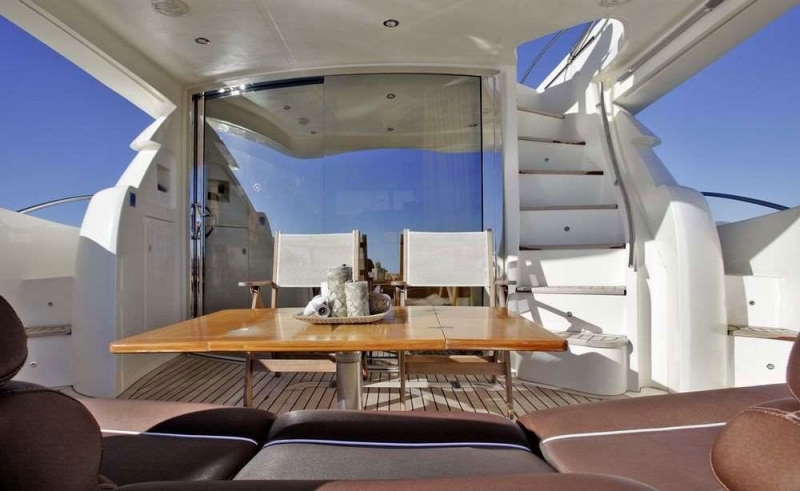 The Main Deck has a modern main salon and a dining room, all with large windows that let in plenty of natural light and offer excellent views from the seating area. 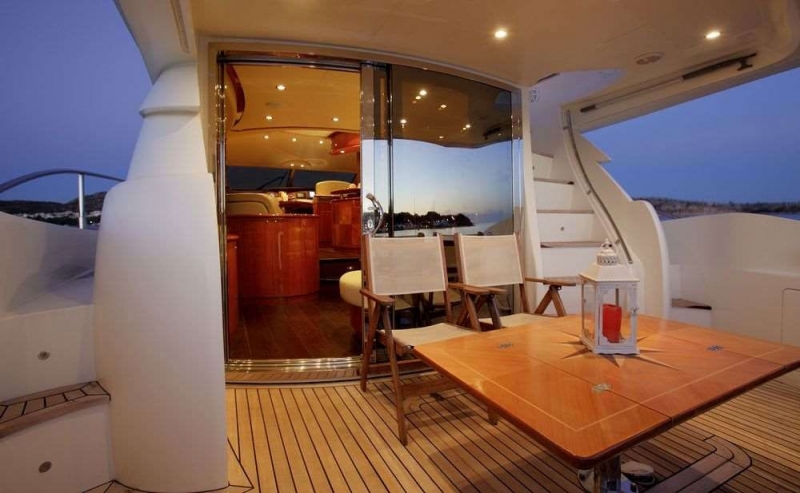 The yacht's dining area has a large table with seating for 6 guests. 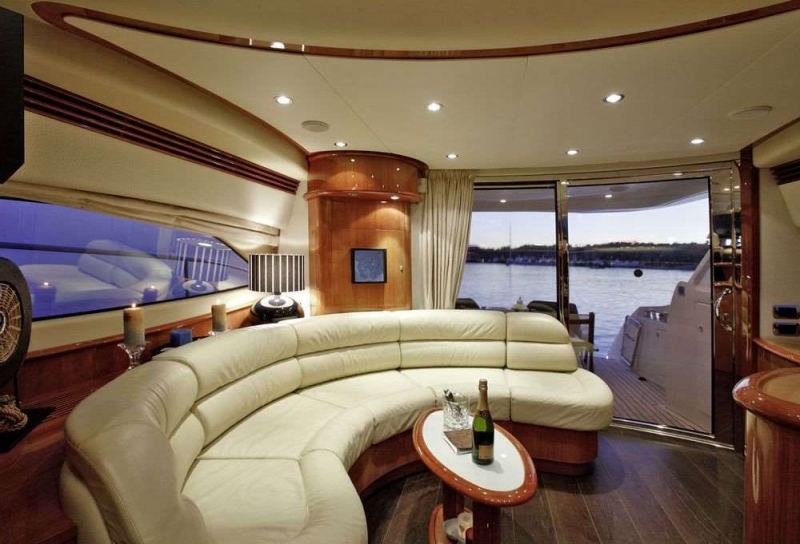 The main salon is spacious with a full length sofa as well as a full entertainment centre including a wide screen television, DVD/CD and Radio. 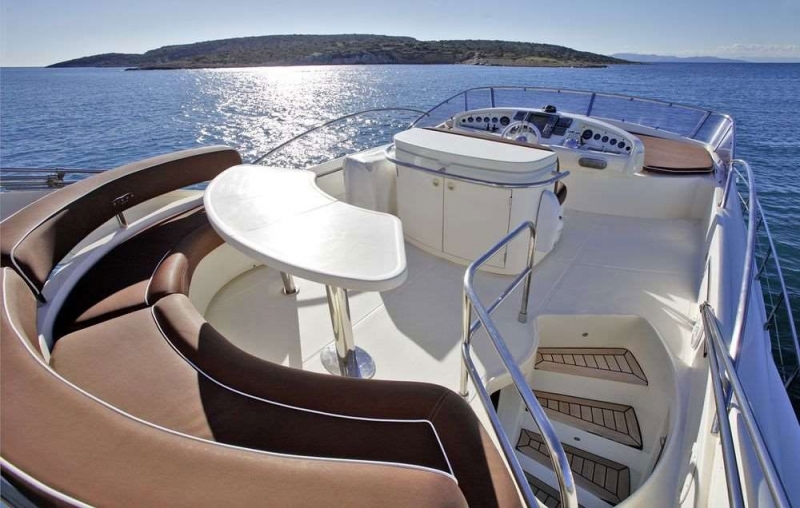 Forward of the bridge are two spacious sun pads for sunbathing. 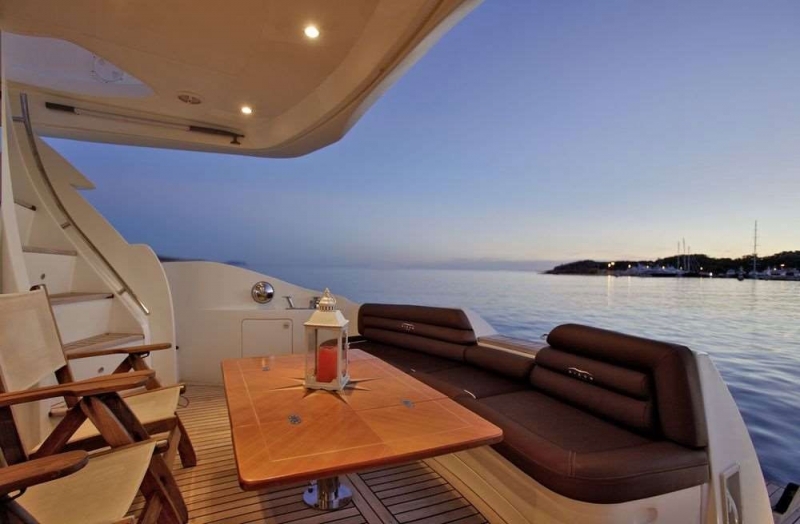 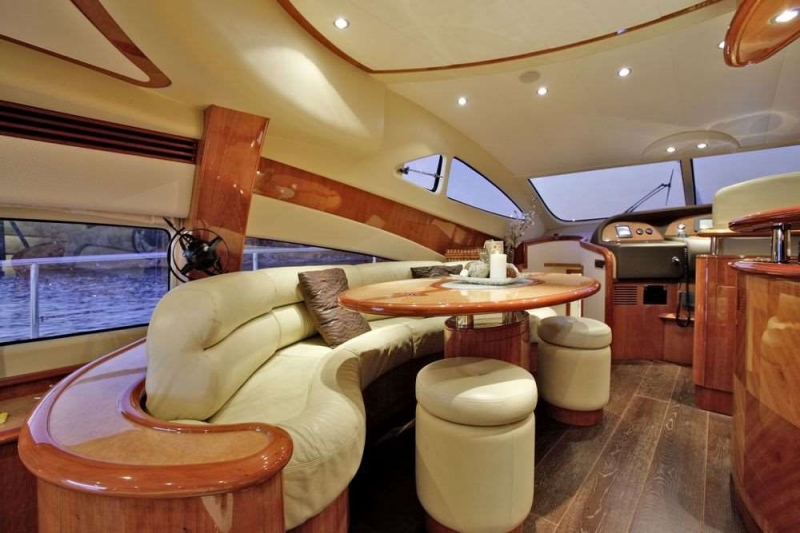 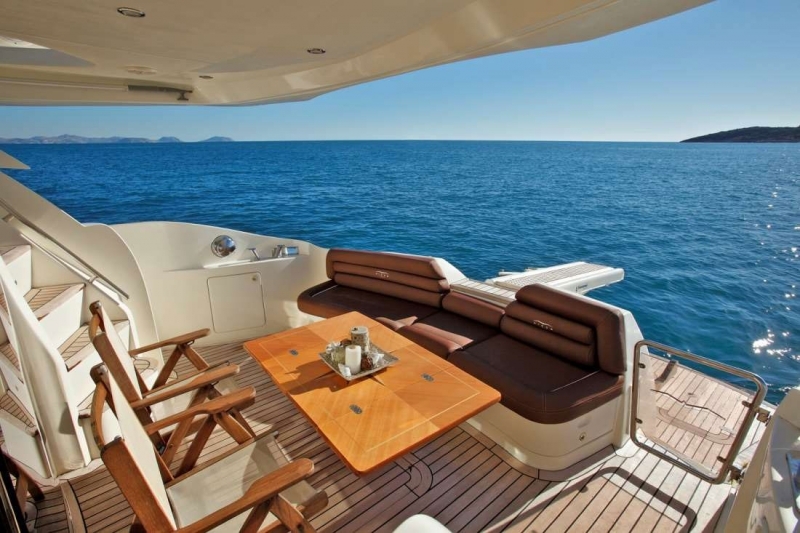 The yacht has a good sized aft deck with a dining table and a sofa. 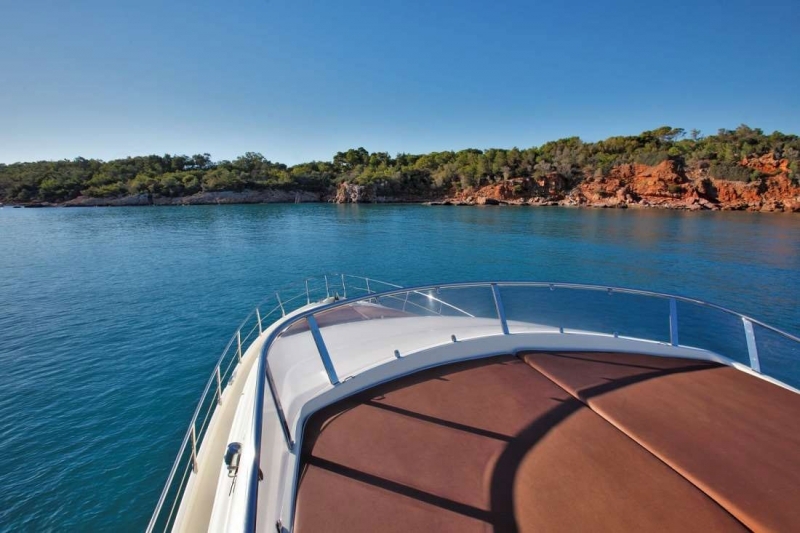 The swim platform gives you easy access to the water, so you can board the tender effortlessly, or leap into the water for a spot of snorkeling.